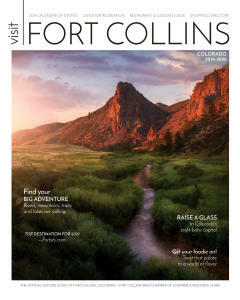 Fort Collins offers great snowshoeing in and around town. This is an amazing way to enjoy some of the best hiking areas during the winter around Horsetooth Reservoir and in the Poudre Canyon. *Horsetooth Mountain Open Space: Located west of Fort Collins, Horsetooth Mountain Open Space is one of Fort Collin’s greatest outdoor playgrounds and it is open year round. Choose from multiple different trails ranging in difficulty level and enjoy the snowy vistas. Cache la Poudre River Canyon: The Poudre Canyon offers excellent winter recreation even when there is no snow on the ground in Fort Collins. Enjoy beautiful views of the backcountry blanketed by snow. Following are a listing of favorite snowshoeing trails in the canyon. Mineral Spring Gulch:This trail is great for a short, mid-winter excursion. It is a 4-mile-long out-and-back trail that is great for beginners. Little Beaver Creek Trail:This trail is great for early season snow and is moderate in skill level. It is 2 miles long, out-and-back and gains 1,500 ft. in elevation. Big South Trail:This 6-mile-trail is located within the upper reaches of the Poudre Canyon and offers stunning views of frozen waterfalls. It is an out-and-back trail with moderate difficulty and gains 560ft in elevation. Green Ridge Road:Located in the upper reaches of the Poudre Canyon, this moderate difficulty trail offers great views of several frozen lakes and travels through the forest. At just 3 miles in length, this snowshoeing trip is perfect for a quick out-and-back trip. Blue Lake:As one of the most popular snowshoeing spots in the upper reaches of Poudre Canyon, this trail offers an easier short, round-trip excursions or a more challenging, all-day adventure. This trail is 4.75 miles one-way and offers beautiful views of Blue Lake surrounded by towering mountains. Trap Park:Located in the upper reaches of the Poudre Canyon this moderately difficult trail follows a small canyon for 11.5 miles and offers beautiful views of the Neota Wilderness and beautiful riparian area. Cross Country Skiing in Fort Collins is a popular activity thanks in part to multiple trail options ranging in difficulty. It is easy to plan a whole vacation around experiencing all of them. Meadows Trail to Zimmerman Lake:Offering two cross-country skiing trails to Zimmerman Lake, this excursion is considered difficult. Choose from a 1.5 mile steep trail or a 9 mile more demanding trail. The trail goes through Neota Wilderness area and gains an elevation of 1,970 ft.
Zimmerman Lake Loop Trail:This 3.1 mile trail in the Upper Poudre Canyon is a more difficult cross-country skiing trail but one of the most popular because it tends to have great late season snow and offers some good downhill areas. Choose from multiple different trail heads and runs along the Never Summer Mountain Range. If you’re yearning for the incredible scenery of the backcountry, you need to look no further than nearby Cameron Pass or Lory State Park. Both offer amazing opportunities to experience riding a Fat Bike. Have a blast spending the day riding on snow-packed trails along the Front Range of the Rocky Mountains. This is one of the most unique ways to enjoy the famous Colorado snow. You get to experience the beauty of the Rockies while taking it all in atop two gigantic wheels. If you grew up skating on an iced-over pond, you’re in luck because you can enjoy natural ice-skating at City Park. Sheldon Lake at City Park designates a safe skating area for those who are looking to enjoy a skate on the lake. Shop, Skate & Discover Downtown this holiday season at Old Town Square&apos;s newest addition - a family friendly skating rink! Only $2 to skate and $1 for rentals! This will be the first year The Pond will be open for ice skating on the East Lawn at the Foothills Mall. Located on the pond is a big beautiful tree that is covered in lights, making for quite the night time skating experience. The Edora Pool and Ice Center is celebrating its 30th anniversary and is having its grand re-opening and Winter Festival on December 17. The Winter Festival will feature an extravaganza of winter on-ice activities such as free figure and synchronized skating exhibitions, speed skating, curling, broomball demonstrations and a free public skate session from Noon–2 p.m. 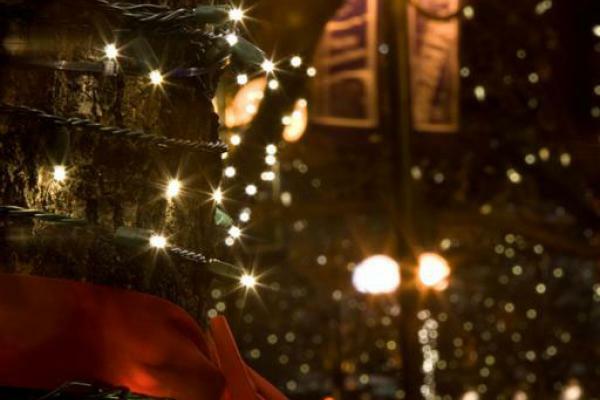 Historic Old Town Fort Collins will be lit up with thousands of strands of holiday lights that illuminate alleyways, sidewalks and street-tops throughout all of beautiful downtown. The stunning display of low energy/sustainable LED lights spans seven blocks, illuminating Old Town’s trees, European-inspired alleyways and beautiful storefronts. From November 20 through January 1, 2017, Front Range Village will display special effect lights shows every evening. The light show takes place at 6:15 PM, 7:15 PM, and 8:15 PM each night. The show is located along Main Street at Front Range Village. Bring the family out for a stroll through the Gardens on Spring Creek, Fort Collins’ community botanical gardens, and enjoy the creatively lit festive gardens covered by hundreds of thousands of LED lights. The lights will be on display from 5:00 – 9:00 pm December 2nd all the way through January 8th, including Christmas Eve, Christmas Day, New Year’s Eve and New Year’s Day. Woodward has been illuminating its Drake campus during the holiday season for quite a while. This lights display has an easy to get to central location in Fort Collins just off East Drake Rd. between Stover and Lemay. As you enter, we suggest tuning your radio to 92.7 FM for Holiday music as you go through the display. The hours you can see the lights will be from 6-10 pm during the month of December. This year Anheuser Busch has added even more lights on the brewery, and they plan to include a festive Digital Light Show synchronized to music. There will also be snowball throwing wall along with fun photo opportunities. They offer everything one could imagine from fire pits to a tree maze to s’mores roasted on that open fire – and did we forget to mention the brewery lights?! This will mark the First Annual Holiday Tree Lighting and Opening of The Pond Ice Rink at Foothill Mall. 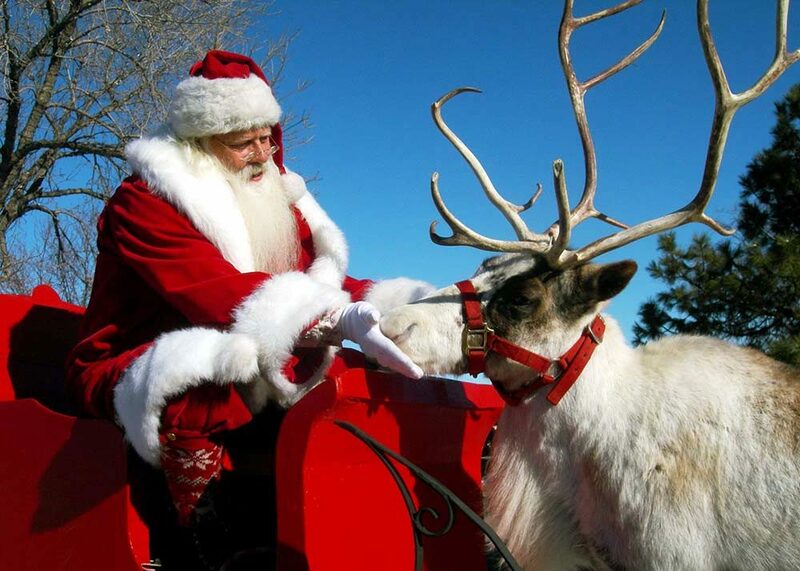 On December 2nd, Santa and friends will light the giant holiday tree and open the brand new ice rink, The Pond, which is the largest outdoor ice rink in Northern Colorado. Nov. 19th - Dec. 15th - Wed - Sun, Noon-6:00pm. 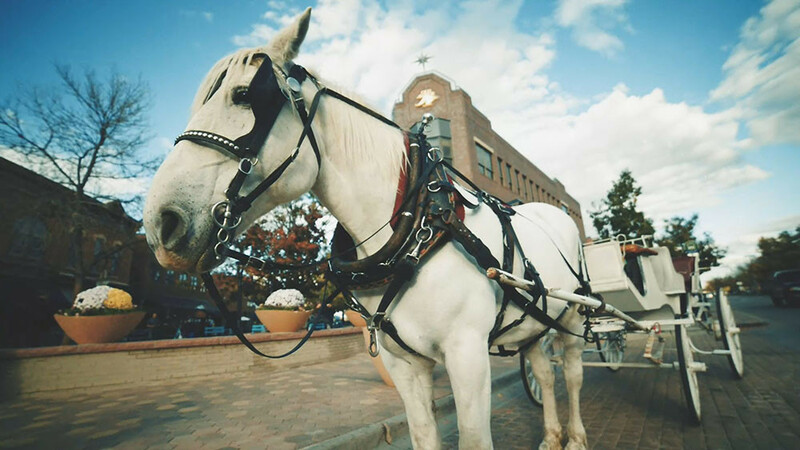 Horse and Carriage rides are offered most nights in Old Town. This is a chance to take in the beautiful scenery of Old Town in a more intimate setting under the beautiful Holiday Lights and maybe some light snow fall if you get lucky. Currently, Fort Collins is home to more than 20 craft breweries, the most microbreweries in the state of Colorado. We must say the holiday season is one of the best times to taste award-winning, winter seasonal craft beers from each of the distinctive breweries in Fort Collins. Beer such as Accumulation from New Belgium Brewing, Mountain Standard from Odell Brewing Co., or H&D Snug Vanilla Caramel Double Cream Ale from Horse and Dragon Brewing just to name a few. Feel free to take part of some brewery tours and an eclectic array of taster trays, just remember to spend a few days to taste them all! 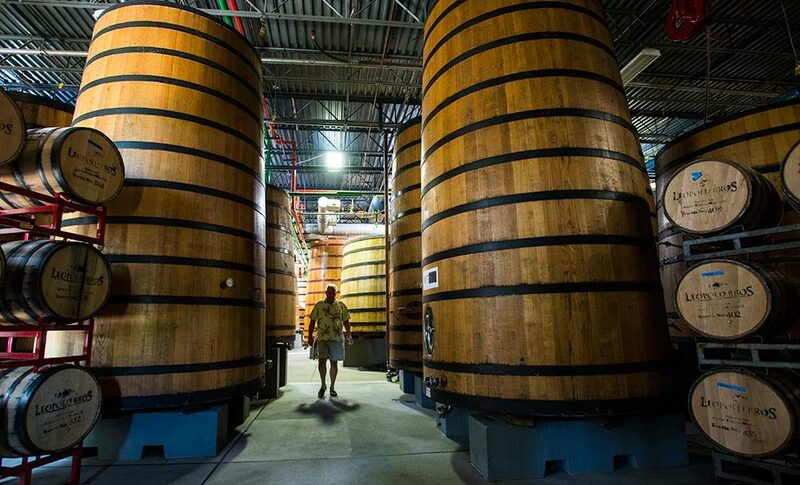 Check out our Brewery Tours page for a full list of Fort Collins breweries. Where: Bas Bleu Theatre Company, 401 Pine St. The Snow Queen will keep you entranced by the battle between good and evil and how true love is tested. Dance Express explores and celebrates the ancient concepts surrounding the winter solstice through music, prose, and dance. In its 37th season, Canyon Concert Ballet presents this annual favorite holiday tradition at the Fort Collins Lincoln Center. This traditional full-length ballet has music by Peter Ilyich Tchaikovsky and features the Fort Collins Symphony Orchestra with Maestro Wes Kenney and three guest artists in the roles of Sugar Plum Fairy, the Cavalier and Snow King. Contact the Fort Collins Lincoln Center to purchase tickets. RENT follows an unforgettable year in the lives of seven artists struggling to follow their dreams without selling out. And now, this Pulitzer Prize and Tony Award®-winning masterpiece returns to the stage in a vibrant 20th anniversary touring production. This year&apos;s 21st Anniversary of First Night is free to the public, made possible by our presenting sponsor, UC Health. The festivities will kick off in Old Town Square at 5:30pm with a "Kid&apos;s Countdown" and Illumination of the Plaza, and will be capped off with a Fireworks display at 10:00 pm. 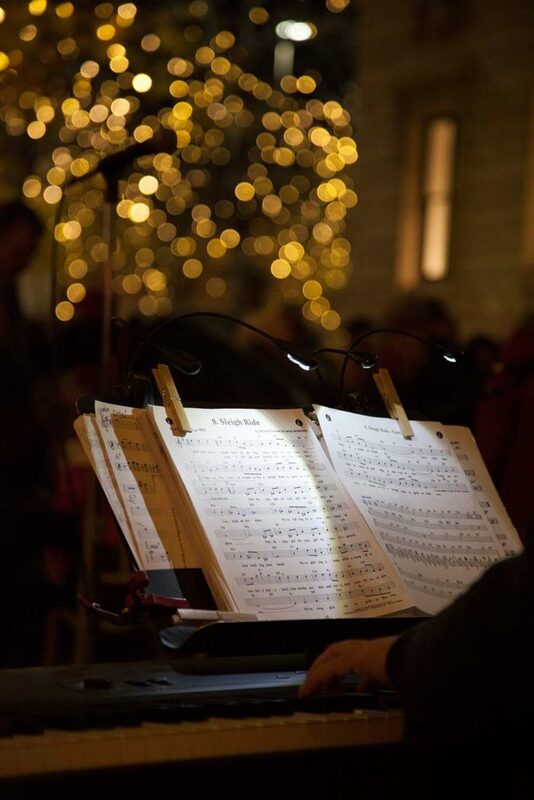 Enjoy holiday music in Oak Street Plaza performed by a group of trumpet players! Traditional Christmas Carols performed on all tuba and euphonium instruments. Conducted by Cecil Gutierrez with approximately 90 performers. Sing along encouraged. Nothing says Christmas like a bunch of folks getting together and singing classic Christmas songs. For 25 years, Carolfest has brought together people of all ages and singing abilities in song and celebration in Downtown Fort Collins. This free event begins at 6:30pm at the Opera Galleria on Friday, December 2nd. Shopping Downtown this holiday season? 28 stores will be hiding a personalized, named Santa and Gold Star somewhere in their shop. Find all 28 Santa names and write them on your Santa Quest Sheet to enter to win a $1,000 Downtown Gift Card! Grab your favorite ugly sweater and get ready to run. This is an event for everyone, whether you are walking with friends, running for an award or even prancing towards the finish line for beer and hot chocolate. PROCEEDS BENEFIT the Adopt-A-Family program at Timberline Church. Where: 328 W. Mountain Ave.
See the Avery House embellished with vintage decorations, enjoy live music, and receive tours from costumed hosts. Shop the Carriage House Holiday Boutique for crafted items, gifts, candy, baked goods, and books. Where: Opera Galleria, 123 N. College Ave.
Fort Collins offers the only Winter Farmers Market in Northern Colorado, featuring rows of beautiful winter produce like fresh greens, root vegetables, local mushrooms and soft cheeses from the Fort Collins-based MouCo Cheese Co. among other things. This winter market truly brings to light the craft culture in Fort Collins with tables of local homemade artisan crafts. The market is open on Saturdays throughout the winter and is located at Opera Galleria 123 N College Ave.
Plan Your Holiday Trip to Fort Collins Today! Find all of the special holiday rates by booking your room here.